Magpie Residence i Penang, Malaysia : Boka nu! 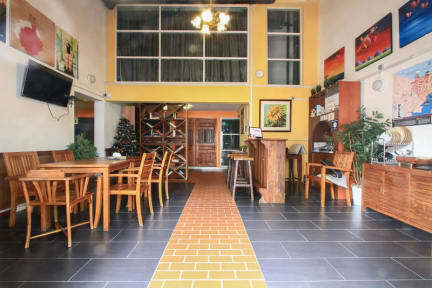 Very good location, close to the old town. Beds were clean and comfortable. Nice breakfast and the guy in the reception was super nice and helpful! Very good experience! Great hostel! We stayed for six nights and were happy about everything. You have a kitchen, bathroom and several showers in your dorm. If you stayed more than three nights they offered free laundry. Big lockers and comfy beds. Friendly staff that helped with everything that we needed. No complaints, everything was perfect! We'll be back! It was a really helpful staff and great location of the hostel. Just a relaxed place, perfect to stay at when in Penang! 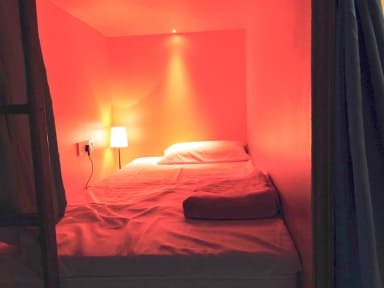 I’m definitely pleased with my stay, it’s a very clean and nice hostel and you even get your own bunker. The receptionists was friendly and made you free breakfast. That was awesome!